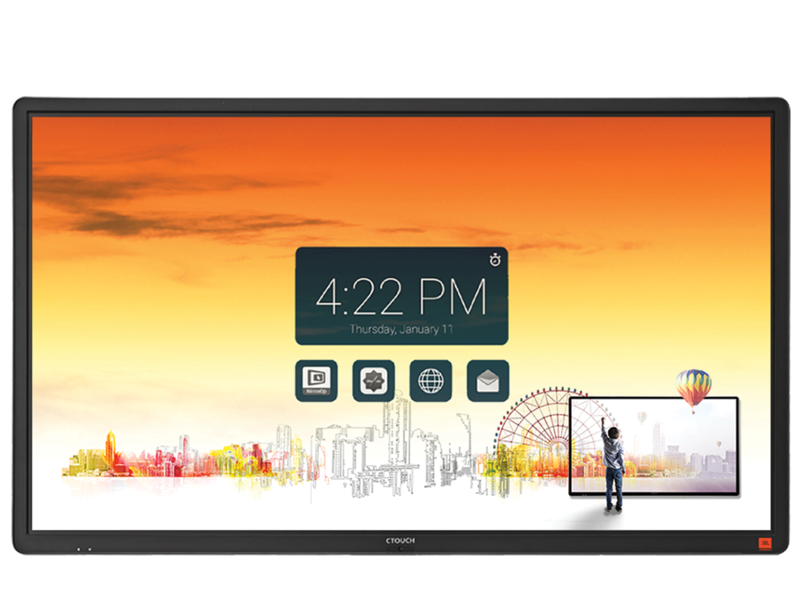 The integrated wireless presentation and collaboration solution allows for sharing with any device and all operating systems: Windows/Mac, tablet or smartphone. CTOUCH uses Barco’s MirrorOp app to ensure easy and fast wireless sharing. After pressing the button on the front of your display, an on-screen Float Bar will appear. This gives you access to the display menu, allows you to change the source or to adjust the volume. It gives you the access to the annotation app, allowing you to easily annotate over any software. The CTOUCH Laser Sky is equipped with a built-in JBL speaker system. The audio system offers 80 watts of sound to fully captivate your audience. Adaptive Touch simulates natural handwriting, as it has the power to adjust the writing speed. It has the capability to adjust the speed of data processing, this creates a fluent line, even when writing fast.